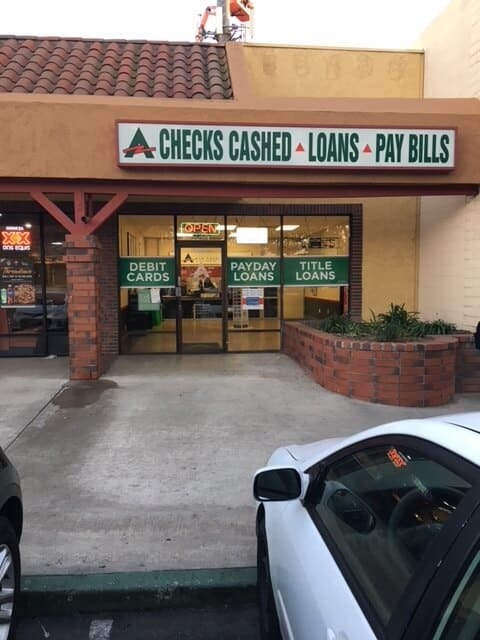 This ACE Store is located in Deanza Plaza at the corner of Limonite Ave and Camino Real. Bus #29 of the Riverside Transit Authority stops at Limonite NS Camino Real. Check RTA’s website for times and destination routes. Neighboring this ACE location are businesses like Jack in the Box, Start Bros. Markets, Round Table Pizza, Dollar Tree, and Payless ShoeSource. Auto Title Loans Powered by LoanMart in Pedley! Auto title loans can make finding funding extremely easy and quick. This is especially true when compared to traditional forms of lending- that take can take days of even weeks to get their funding to the borrower. So, if you are looking for funding an auto title loan in Pedley powered by LoanMart help. If you qualify, LoanMart may be able to provide you the funds for any expense that you may have. LoanMart strives to prequalify you faster than the competition. If you do qualify, they may even be able to provide you your funds within one business day3. When you need money easily and don’t want to wait days or even weeks, there’s no better place to look. LoanMart may be able to lend you up to $30,0001 depending on certain criteria and qualifications including your vehicle’s equity and your ability to make regular monthly payments. Funding in as little as the next business day3 if you qualify. Ready to get started on an auto title loan powered by LoanMart? Call LoanMart toll-free and let one of their experienced agents help you get started on your way to financial relief. Their agents will be able to answer any question you may have. Apply for an Auto Title Loan Powered by LoanMart in Pedley Regardless of Credit! Qualifications are based on factors such as your vehicle’s equity and your ability to make regular monthly payments on time. They have been able to provide auto title loans-powered by them- to countless customers, many of whom had unique credit. Once approved, your agent will chat with you about the title loan retrieval process, powered by LoanMart at ACE Cash Express!